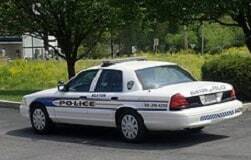 Send someone down to the Cecil County police station to get the police report if you have a large case with a possible liability dispute. You want to figure out who the witnesses and get their stories sooner rather than later. The police are often not racing to return these to lawyers as quickly as they possibly can. Also note: there is no set fee to get a police report in Cecil County. They will bill you if there is a cost. On December 21 2012, my client Jennette Smith was seriously injured in a truck collision and was rushed to Union Hospital. We believe that your department arrived on the scene and conducted an investigation. Please send the police report for the above-captioned accident. I believe we have provided sufficient information to locate the report, but if the number or is incorrect or there are any concerns, please let us know. If there is a fee for retrieving this report, please fax an invoice to my attention at (410) 760-8922 or contact me directly at (410) 779-4600. Accordingly, would you kindly process my request for a copy of the accident report for the above-described traffic accident ASAP? Thank you for your time and assistance with this matter. Legal Assistant to Ronald V. Miller, Jr.